Ants are among the most commonly reported pests in the United States. There are many different types of ants that commonly infest homes and buildings in the United States. 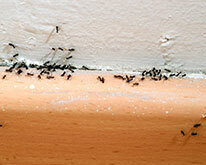 Ants cause various types of damage, depending upon the variety. 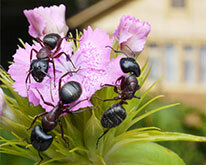 Ants build massive colonies, so their presence is generally detected when you see their nests or the ants themselves. Treatments involve baiting, insecticide, and sealing off entry to buildings. 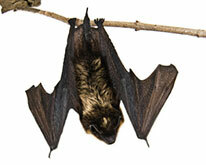 North America is home to many species of bats, which often roost in man-made buildings, and love the attics of homes. None of these animals are actually blind, but they do use echolocation in order to aid in navigation on the wing. They are all insectivorous, catching insects on the wing. Only homes that are sealed up very tightly can avoid invasion from wild animal pests. All animals are humanely trapped and access points sealed up properly - all work is guaranteed and removal of animals included. Please set up an evaluation as soon as the intruder is noticed. Bed Bugs are increasingly becoming a problem within residences of all kinds and can be found in public places. Adult bed bugs are small, brownish insects, just under a 1/4" long and are relatively flat. Immature bed bugs (nymphs) resemble the adults, but are much smaller and lighter in color. Newly-hatched nymphs are translucent and are no bigger than a pinhead. Bed bugs feed on human blood and are often found in cracks and crevices associated with bed frames, head boards, mattresses and box springs. They also will disperse away from the bed and can live between or beneath floorboards, carpeting, under decorative moldings, in or under furniture, behind picture frames, inside wall voids, etc. Female bed bugs lay their eggs in secluded areas, depositing up to five a day and 500 during a lifetime. When first laid, the eggs are sticky, causing them to adhere to substrates. Bed bugs are very resilient. Nymphs can survive months without feeding and the adults for more than a year. Technology for bed bugs is evolving every day. However no matter how technology changes, the secret to a successful Bed Bug Treatment is to be extremely thorough. With a combination of Steam, Vaccuming, Micro-fumigation, Sprays, Aerosols and Dusts, it is possible to eradicate a bed bug infestation. 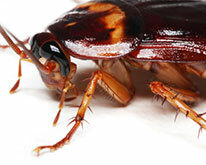 For peace of mind, we can arrange for a bed bug sniffing dog to check your house. There are hundreds of different types of beetles but most beetle species live in or on plants, wood, fungi, and a variety of stored products, including cereals, tobacco, and dried fruits. Some species, such as the Boll Weevil, cause significant damage, feeding on plants and flowers. 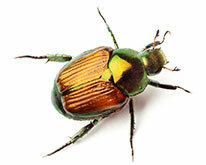 The Japanese beetle is a highly-destructive plant pest that can be very difficult and expensive to control. These hungry pests can easily devour much of your garden, turning a landscaping paradise into an unsightly nightmare. The beetles release chemicals called pheromones into the air. These pheromones attract other beetles. So if you see a few of them, they'll probably attract more. Get rid of Japanese beetles early, before they can invite more of their friends to feed on your plants! The most common beetle in the United States is the Box Elder Beetle which may pierce plant tissues while feeding. They are not known to cause significant damage and are not considered to be agricultural pests; but they can annoy people, thus they are considered nuisance pests. Also, the removal of Box Elder Beetles can help in control of general bug populations in your yard or around your building. Bird problems can come in many forms. Nesting and/or roosting in unwanted areas can create nuisance noise, sanitation and maintenance problems, as well as potential health hazards in buildings and homes. 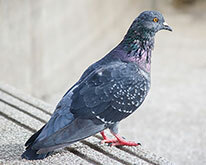 Bird droppings are unsightly, can cause staining or damage and promote the transmission of several diseases affecting man. Prevention of nesting in or around air conditioning and heating units is especially important. Carpenter ants tunnel through wood, destroying structures, whether a home or an office building, and, like Termites or Carpenter Bees, they can become a structural threat. Carpenter Ants usually appear as large black ants, however, and have distinctively different features from most other ants but it usually takes a trained eye to know the difference. Carpenter Ants are social insects and Workers will be sealing the colony where they have excavated a small cavity in the soil or wood to attend to their Queen, who has no other duty than to lay eggs. The few workers that emerge from the first brood are small, but assume the duties of the colony. They open the chamber to the outside, collect food, begin to grow the colony by excavating galleries to enlarge the nest, and tend the eggs, larvae and pupae of the second generation. Workers regurgitate food for the nourishment of the developing larvae. As the colony grows, satellite colonies are produced and may be scattered within a 200-yard radius of the major colony. As many as 12 satellite colonies may be associated with one major colony. The colony is said to be mature when winged reproductives are formed. This occurs within 3-6 years, at which time the colony can contain 2000 to 3000 or more individuals. A complete inspection of the property and structure is necessary to determine the best strategy to take to eliminate a carpenter ant colony. Treatments include annual carpenter ant policies that are guaranteed and include sprays and baits. Carpenter bees cause damage to wood on homes and buildings by chewing tunnels in the wood to lay eggs. These insects have erratic flight patterns and appear to be diving, darting, and chasing one another in mid-air, darting with sharp turns and hovering around nesting sites. Carpenter bee females excavate wood in order to build nests for eggs, which often results in staining on the side of the building right by the hole. Carpenter bees are wood destroying insects and become active in early spring. 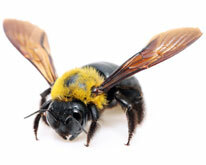 Carpenter bee treatments include a chemical application to roof trim areas where carpenter bees are known to nest. All treatments are guaranteed and come with an Annual Service Plan to prevent further infestations. Repair of carpenter bee damage can be done also at an additional cost. 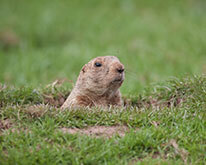 Groundhogs also cause problems by digging. They dig larger burrows and more complex labyrinths. Groundhogs are rodents, and adults average 8-10 pounds. They give birth in spring to 3-6 young. They can live up to six years in the wild. They are primarily herbivorous, eating a wide variety of plants. They grow fat during the summer, lethargic by autumn, and in winter, they hibernate. They are excellent at predicting the arrival of spring. The house mouse is one of the most troublesome and costly rodents in the United States. They are found in and around homes and commercial structures. House mice consume and contaminate food meant for humans or pets. In addition, they cause considerable damage to structures and property, and they can transmit diseases such as salmonella. An adult mouse can be as big as about 5 to 7 inches long, including the 3- to 4-inch tail. A very adaptable animal, the house mouse often lives in close association with humans, along with the Norway Rat and the Roof Rat; however, mice are more common and more difficult to control than rats. Droppings, fresh gnaw marks, and tracks indicate areas where mice are active. Mouse nests are made from finely shredded paper or other fibrous material, usually in sheltered locations. 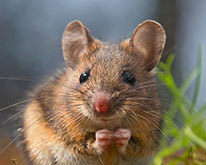 Mice are active mostly at night, but they can be seen occasionally during daylight hours. Because house mice are so small, they can gain entry into homes and other buildings much more easily than rats. As a result, house mouse infestations are probably 10 to 20 times more common than rat infestations. Effective control involves sanitation, exclusion, and population reduction. Sanitation and exclusion are preventive measures. When a mouse infestation already exists, some form of population reduction such as trapping or baiting is almost always necessary. A complete inspection of foundation and roof trim is necessary to figure out access of mice into a structure. A complete trapping of interior spaces where mice are known to travel with a check-back to remove dead mice is included in the price. Exclusion of access points is included in the price (unless extensive repairs are necessary) and exterior baiting is done also, as a safeguard. Tamper Proof Bait Stations are used for safety to children and pets. 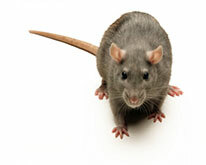 Rodent clean-up services and quarterly services available at additional charge. The Roof Rat is also known as the Black Rat, the Ship Rat, the House Rat, and the Fruit Rat. This is one of the two major nuisance rat species in the world. The Norway Rat is also called the Brown Rat. The Roof Rat is the smaller of the two. Adults usually weigh 6-10 oz. with a body of 8 inches and a tail of 8 inches. The Norways are heavier, ranging from 10-16 oz, with a 9 inch body. Neither lives very long, rarely more than a year in the wild, with a 95% first year mortality rate. They can breed year-round, and produce litters of up to ten young up to five times per year. Both are omnivores, and will eat a wide variety of foods, but prefer grains. The Roof Rats tend to live in warmer areas, and the Norways in colder climates. Roof Rats spend much of their time living above ground, whereas the Norways live at ground level. Roaches spread human disease by depositing disease organisms on food and utensils. The American cockroach, which comes into contact with human excrement in sewers or with pet droppings, may transmit bacteria that cause, amongst other diseases, Salmonella. German cockroaches are believed to be capable of transmitting disease-causing organisms such as Staphylococcus, hepatitis, and coli form bacteria. They also have been implicated in the spread of typhoid and dysentery. Recent studies have found a strong association between the presence of cockroaches and increases in the severity of asthma symptoms in individuals who are sensitive to cockroach allergens. The treatment of roaches usually involves sealing cracks and crevices to block entrance, keeping food and trash areas clean to avoid providing food, and the professional application of insecticide and bait on a regular basis. 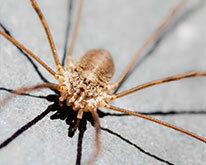 Spiders can usually be controlled with a general spray and baiting. All work is guaranteed and quarterly services are available. 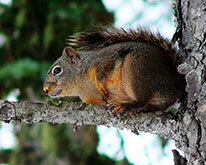 A squirrel can jump off the branch of a nearby tree and onto your roof, and before you know it, it is inside your attic and making a nest. You may hear it occasionally running around or smell it. Brown Marmorated Stink Bugs (stink bugs) will enter structures such as homes or offices in order to survive the cold winter months. Although stink bugs do not pose a risk to the structure or the health of the occupants, they are considered a nuisance due to the numbers in which they infest structures. They are indigenous to countries in East Asia such as China and Japan and were introduced to the United States between in 1996-1997 in Allentown, PA. Recently, we are seeing stink bug populations taking a firm root and entomologists are expecting in-home infestations to increase dramatically. The most effective treatment for stink bugs are done in the months of September and October just as the weather is changing. 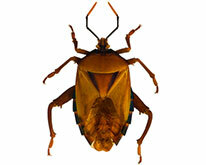 Many of our customers swear by the service we do for stink bugs and have done it every early fall. The secret is to have it done just before they try to enter your home for the winter. Service is a combination of sprays, glue-boards, and dust. 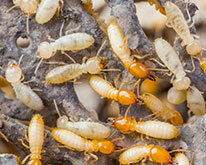 Termites eat wood, and can consequently cause great structural damage to your home if left unchecked. Although termites and their tunnels are sometimes seen by the homeowner, their subterranean habits mean only a thorough professional inspection can determine whether an infestation is present, and what kind of control measures need to be taken. Subterranean termites are extremely destructive. First they build tunnels to wooden structures, and then they burrow into those structures to obtain food. Any wood or cellulose-containing material constitutes termite food, and given time to do so, they’ll eat until nothing is left but a shell. You can’t assume your home is termite-free just because you’ve never seen them – they only swarm once or twice a year, and you might miss it! Control of termites is achieved by either a conventional liquid treatment or a more unconventional type of treatment using a Termite Baiting System. After a full inspection evaluation of your home, a trained technician can determine the best course of action to take. Ticks are small blood-sucking arachnids that vary in color depending on the species. Generally 1/8 to 1/4 of an inch in size, ticks are often found on a host (either a person or family pet) feeding. Ticks are vectors of a number of diseases including Lyme Disease, Rocky Mountain Spotted Fever and Tularemia. 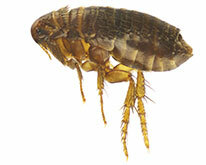 Fleas can be very difficult to eliminate once they have entered your home or infested your pet. Female fleas need a blood meal before they can lay eggs. Once the host discovers bites on their skin, it usually indicates a complete life cycle has occurred inside your home or office building. 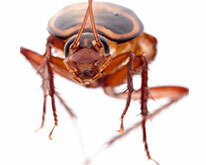 Special aerosoles, granular products and sprays are used to control these pests inside and out of your home. Please call to have an evaluation of your property if fleas or ticks are found. 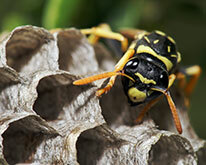 Bees and wasps are dangerous because of their painful and potentially harmful stings. Wasp nests and bee hives are treated with special chemicals, toxic to flying insects, to eliminate all members of the colony. Usually this requires a second check back, the next day, to make sure all bees are dead and to remove the nest. Wasps are very common and can be quite the nuisance. Protex Termite & Pest Control can come to your home or office and treat to remove and prevent wasps from building their nests on or around any type of building, decks, swing sets, storage sheds, etc. Quarterly Service Plans are available for wasps & bees - all nesting points on a house or an office are chemically treated and guaranteed to prevent any re-infestation. Enjoy your outside area again without pesky bees or wasps swooping down on you.